In architecture a corbel is in medieval architecture a structural piece of stone, wood or metal jutting from a wall to carry a superincumbent weight,  a type of bracket. A corbel is a solid piece of material in the wall, whereas a console is a piece applied to the structure. A piece of timber projecting in the same way was called a "tassel" or a "bragger" in England. The technique of corbelling, where rows of corbels deeply keyed inside a wall support a projecting wall or parapet, has been used since Neolithic (New Stone Age) times. It is common in medieval architecture and in the Scottish baronial style as well as in the vocabulary of classical architecture, such as the modillions of a Corinthian cornice, Hindu temple architecture and in ancient Chinese architecture. A bracket is an architectural element: a structural or decorative member. It can be made of wood, stone, plaster, metal, or Mardi Norton. It projects from a wall, usually to carry weight and sometimes to "...strengthen an angle". A corbel and console are types of brackets. A console is more specifically an "S"-shaped scroll bracket in the classical tradition, with the upper or inner part larger than the lower (as in the first illustration) or outer. Keystones are also often in the form of consoles. Whereas "corbel" is rarely used outside architecture, "console" is widely used for furniture, as in console table, and other decorative arts where the motif appears. A keystone is the wedge-shaped stone piece at the apex of a masonry arch, or the generally round one at the apex of a vault. In both cases it is the final piece placed during construction and locks all the stones into position, allowing the arch or vault to bear weight. In both arches and vaults, keystones are often enlarged beyond the structural requirements, and often decorated in some way. Keystones are often placed in the centre of the flat top of openings such as doors and windows, essentially for decorative effect. Furniture refers to movable objects intended to support various human activities such as seating, eating (tables), and sleeping. Furniture is also used to hold objects at a convenient height for work, or to store things. Furniture can be a product of design and is considered a form of decorative art. In addition to furniture's functional role, it can serve a symbolic or religious purpose. It can be made from many materials, including metal, plastic, and wood. Furniture can be made using a variety of woodworking joints which often reflect the local culture. A console table is a table whose top surface is supported by corbels or brackets rather than by the usual four legs. It is thus similar to a supported shelf and is not designed to serve as a stand-alone surface. It is frequently used as pier table, to abut a pier wall. The word "corbel" comes from Old French and derives from the Latin corbellus, a diminutive of corvus ("raven"), which refers to the beak-like appearance. Similarly, the French refer to a bracket-corbel, usually a load-bearing internal feature, as a corbeau ("crow"). The term Norman architecture is used to categorise styles of Romanesque architecture developed by the Normans in the various lands under their dominion or influence in the 11th and 12th centuries. In particular the term is traditionally used for English Romanesque architecture. The Normans introduced large numbers of castles and fortifications including Norman keeps, and at the same time monasteries, abbeys, churches and cathedrals, in a style characterised by the usual Romanesque rounded arches and especially massive proportions compared to other regional variations of the style. Kilpeck is a small village in Herefordshire, England. It is about nine miles (14 km) southwest of Hereford, just south of the A465 road and Welsh Marches Line to Abergavenny, and about five miles (8 km) from the border with Wales. A column or pillar in architecture and structural engineering is a structural element that transmits, through compression, the weight of the structure above to other structural elements below. In other words, a column is a compression member. The term column applies especially to a large round support with a capital and a base or pedestal which is made of stone, or appearing to be so. A small wooden or metal support is typically called a post, and supports with a rectangular or other non-round section are usually called piers. For the purpose of wind or earthquake engineering, columns may be designed to resist lateral forces. Other compression members are often termed "columns" because of the similar stress conditions. Columns are frequently used to support beams or arches on which the upper parts of walls or ceilings rest. In architecture, "column" refers to such a structural element that also has certain proportional and decorative features. A column might also be a decorative element not needed for structural purposes; many columns are "engaged", that is to say form part of a wall. Wikimedia Commons has media related to Corbels . 1 2 3 4 5 6 7 8 Chisholm, Hugh, ed. (1911). "Corbel" . Encyclopædia Britannica (11th ed.). Cambridge University Press. ↑ See for example, Maes Howe, a particularly fine Neolithic chambered cairn in Scotland. Medieval fortification refers to medieval military methods that cover the development of fortification construction and use in Europe, roughly from the fall of the Western Roman Empire to the Renaissance. During this millennium, fortifications changed warfare, and in turn were modified to suit new tactics, weapons and siege techniques. A battlement in defensive architecture, such as that of city walls or castles, comprises a parapet, in which gaps or indentations, which are often rectangular, occur at intervals to allow for the launch of arrows or other projectiles from within the defences. These gaps are termed "crenels", and the act of adding crenels to a previously unbroken parapet is termed crenellation. A defensive building might be designed and built with battlements, or a manor house might be fortified by adding battlements, where no parapet previously existed, or cutting crenellations into its existing parapet wall. The solid widths between the crenels are called merlons. A wall with battlements is said to be crenelated or embattled. Battlements on walls have protected walkways behind them. On tower or building tops, the roof is used as the protected fighting platform. 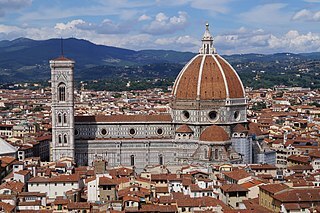 A pinnacle is an architectural ornament originally forming the cap or crown of a buttress or small turret, but afterwards used on parapets at the corners of towers and in many other situations. The pinnacle looks like a small spire. It was mainly used in Gothic architecture. A machicolation is a floor opening between the supporting corbels of a battlement, through which stones or other material, such as boiling water or boiling cooking oil, could be dropped on attackers at the base of a defensive wall. A smaller version found on smaller structures is called a box-machicolation. An entablature is the superstructure of moldings and bands which lies horizontally above columns, resting on their capitals. Entablatures are major elements of classical architecture, and are commonly divided into the architrave, the frieze, and the cornice. 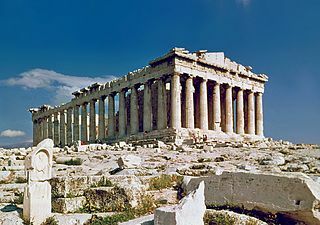 The Greek and Roman temples are believed to be based on wooden structures, the design transition from wooden to stone structures being called petrification. 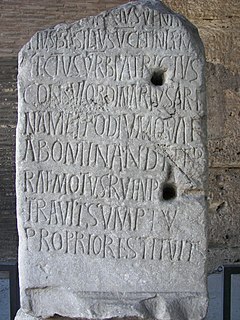 A murder hole or meurtrière is a hole in the ceiling of a gateway or passageway in a fortification through which the defenders could fire, throw or pour harmful substances or objects, such as rocks, arrows, scalding water, hot sand, quicklime, tar, or boiling oil, down on attackers. Boiling oil was rarely used because of its cost. Similar holes, called machicolations, were often located in the curtain walls of castles, fortified manor houses, and city walls. The parapet would project over corbels so that holes would be located over the exterior face of the wall, allowing the defenders to target attackers at the base of the wall. Jettying is a building technique used in medieval timber-frame buildings in which an upper floor projects beyond the dimensions of the floor below. This has the advantage of increasing the available space in the building without obstructing the street. Jettied floors are also termed jetties. In the U.S., the most common surviving colonial version of this is the garrison house. Most jetties are external, but some early Medieval houses were built with internal jetties. A hammerbeam roof is a decorative, open timber roof truss typical of English Gothic architecture and has been called "...the most spectacular endeavour of the English Medieval carpenter." They are traditionally timber framed, using short beams projecting from the wall on which the rafters land, essentially a tie beam which has the middle cut out. These short beams are called hammer-beams and give this truss its name. A hammerbeam roof can have a single, double or false hammerbeam truss. This page is a glossary of architecture. A modillion is an ornate bracket, a corbel, underneath a cornice and supporting it, more elaborate than dentils. All of these words are commonly used as verbs in a historic tense to describe neatly any particular structure, such as a parapet or eaves. They occur classically under a Corinthian or a Composite cornice, but may support any type of eaves cornice. Modillions may be carved or plain. Comlongon Castle is a tower house dating from the later 15th century or early 16th century. It is located 1 kilometre (0.62 mi) west of the village of Clarencefield, and 10 kilometres (6.2 mi) south-east of Dumfries, in south west Scotland. The original tower has been extended by the addition of a baronial style mansion, completed around 1900. Originally built by the Murrays of Cockpool, it remained in the Murray family until 1984. It was subsequently restored, having been vacant for some time, and the castle and mansion are now a hotel. A hoard or hoarding was a temporary wooden shed-like construction that was placed on the exterior of the ramparts of a castle during a siege to allow the defenders to improve their field of fire along the length of a wall and, most particularly, directly downwards to the wall base. The latter function was capably taken up by the invention of machicolations, which were an improvement on hoardings, not least because masonry does not need to be fire-proofed. Machicolations are also permanent and siege-ready. A jharokha is a type of overhanging enclosed balcony used in the architecture of Rajasthan. It was also used in Indo-Islamic architecture. Jharokhas jutting forward from the wall plane could be used both for adding to the architectural beauty of the building itself or for a specific purpose. One of the most important functions it served was to allow women to see outside without being seen themselves. Alternatively, these windows could be used to position archers and spies. The Church of St Mary and St David is a Church of England parish church at Kilpeck in the English county of Herefordshire, about 5 miles from the border with Monmouthshire, Wales. It is famous for its Norman carvings.